These traditional German Semolina Dumplings are easy to prepare. You can find semolina at Walmart, Whole Foods and in several grocery stores in the aisle with Italian food. This recipe serves about 6-8 people. Mix milk, butter, salt, and nutmeg in a saucepan. Heat the mixture up on the stove until it boils. When the butter is melted, add the semolina to it. 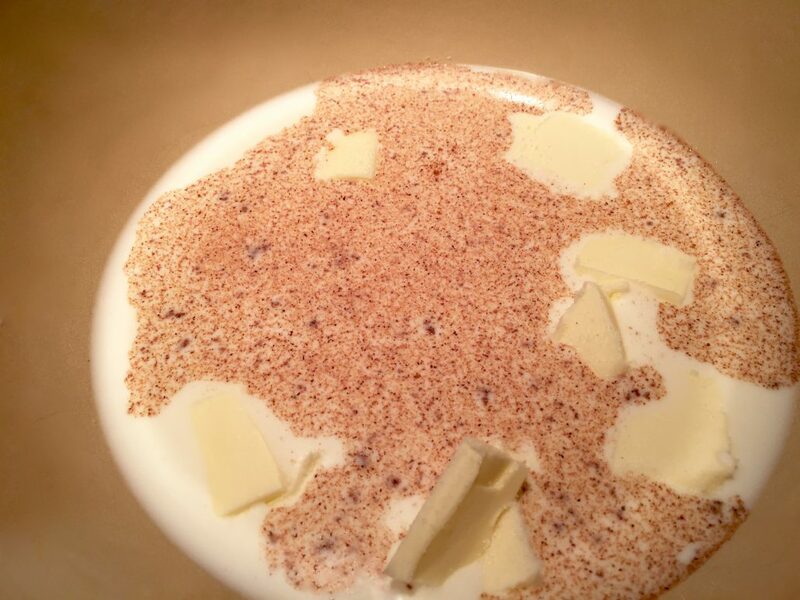 Boil the milk mixture while constantly stirring with a whisk. The dough for the dumplings is ready when the ingredients are combined into a ball. It takes about 3-4 minutes. Remove from the stove and let it cool down. 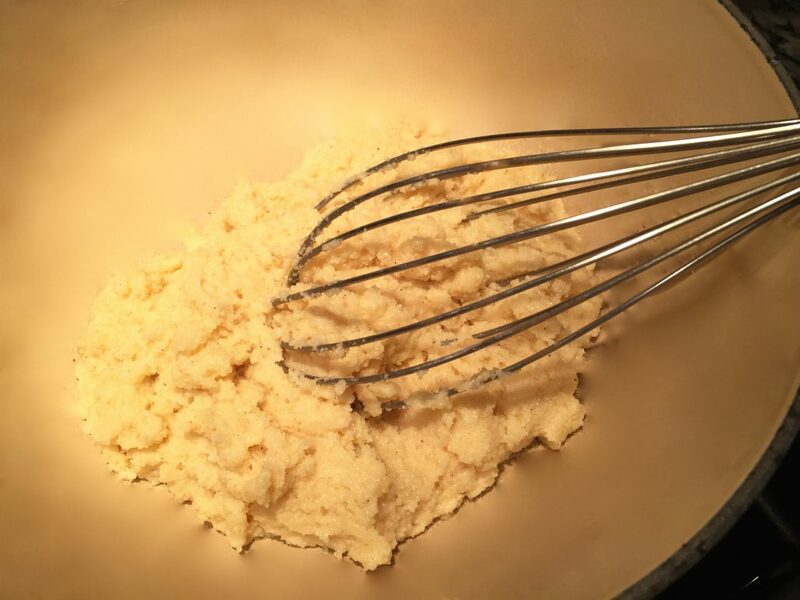 Add eggs and stir with a whisk until the dough is smooth. Let the dough chill for about 15 minutes in the refrigerator. Bring the beef broth or Oma’s homemade Beef Broth or Beef Soup to a boil. 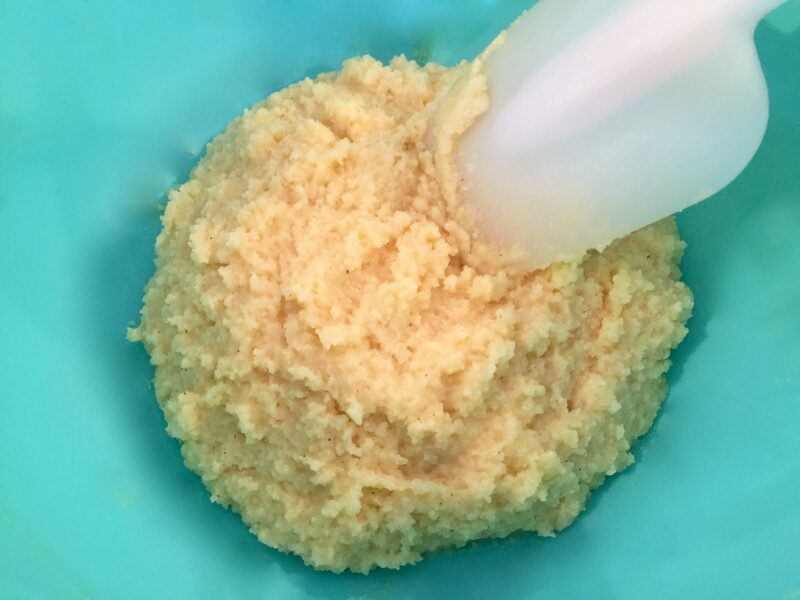 Using two teaspoons form the dough into dumplings (small balls). Portion with one teaspoon and slide the dumplings with the second teaspoon in the boiling water. You can form little balls with your hands. Wet your hands to avoid the dough sticking to your hands. Place the dumplings in the boiling soup or broth. Turn the heat down and let the dumplings simmer for about 10 minutes or until they float to the top of the soup or broth. Your Semolina Dumplings are ready to be served. To try the Liver Dumpling Recipe click here.